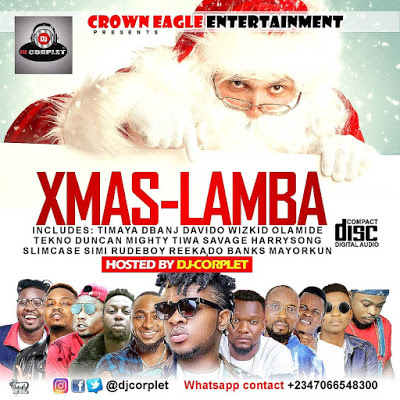 Here’s presenting the most anticipated Online Mixtape by DJ Corplet “Xmas Lamba", The Mixtape boasts of the best songs from the year 2018. This mix contain various hit songs that will surely spice up the festive period. OF Merry Xmas and Happy New Year in Advance to you all.